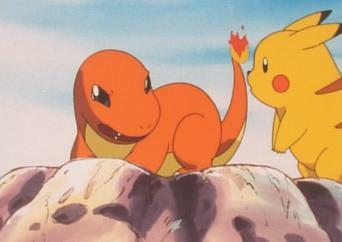 How to watch Pokémon: Indigo League: Season 1 (2000) on Netflix Japan! Sorry, Pokémon: Indigo League: Season 1 is not available on Japanese Netflix, but you can unlock it right now in Japan and start watching! With a few simple steps you can change your Netflix region to a country like Argentina and start watching Argentine Netflix, which includes Pokémon: Indigo League: Season 1. We'll keep checking Netflix Japan for Pokémon: Indigo League: Season 1, and this page will be updated with any changes. 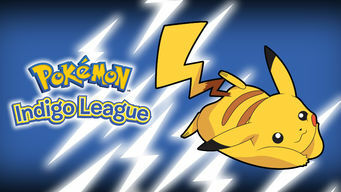 Pokémon: Indigo League: Season 1 is not available in Japan BUT it can be unlocked and viewed! 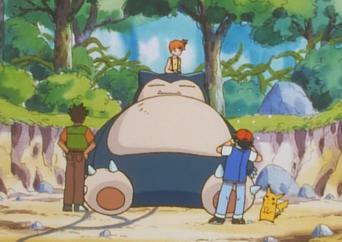 Season 1 of Pokémon: Indigo League has 44 episodes. Because different Netflix countries have different availability for episodes, you'll need to check the episode listing below to see which are available in Japan. After oversleeping on the day he's to choose his Pokémon, 10-year-old Ash Ketchum is stuck with the only one remaining: a strong-willed Pikachu. 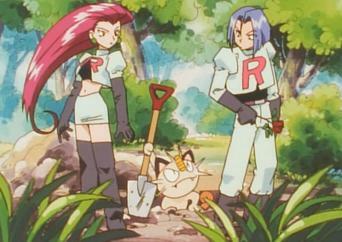 Viridian City is on high alert for thieves like Jessie, James and Meowth of Team Rocket, a group of bad guys dedicated to stealing valuable Pokémon. Ash catches a Caterpie, the first Pokémon he's ever caught! 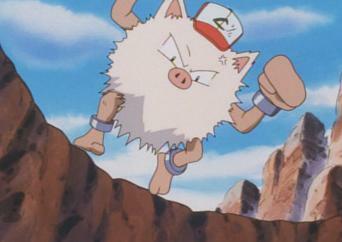 But Misty is grossed out by it and repulsed by its attempts to be friends with her. When a battle involving Ash's Metapod is interrupted by an angry swarm of Beedrill, Ash flees but leaves his Metapod behind. 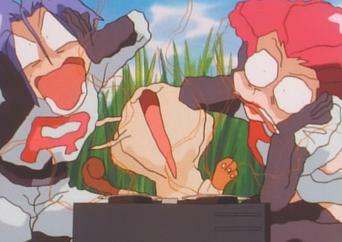 Jessie, James and Meowth dig a trap for our heroes, but they end up falling into it themselves. 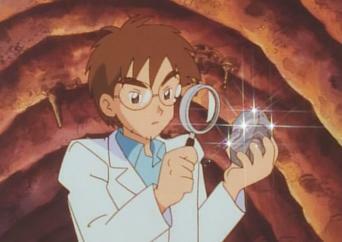 After being rescued by Ash and pals, a grateful scientist leads them to find the storied Moon Stone, which is said to increase the power of Pokémon. In Cerulean City, three gym leaders turn down Ash's challenge, but then a fourth, mysterious gym leader steps in to take up the battle. 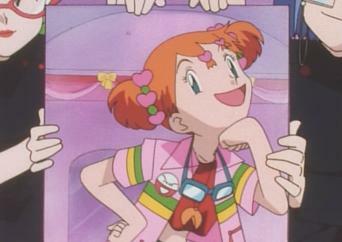 Ash hears of A.J., fierce Pokémon trainer who has never lost a match. Full of confidence, Ash heads directly for A.J. 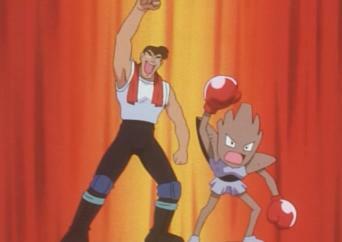 's gym to find his new opponent. 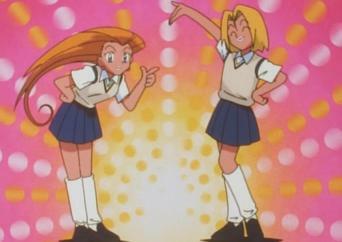 At the Pokémon Technical Institute, Ash and Misty challenge a conceited girl who is the ringleader of a bullying training system at the school. The party discovers a quiet, hidden town inhabited by Pokémon that have been injured in battle or abandoned by their trainers. After saving an abandoned Charmander from a Spearow attack, our heroes are rewarded for their good deed when they find themselves in trouble. 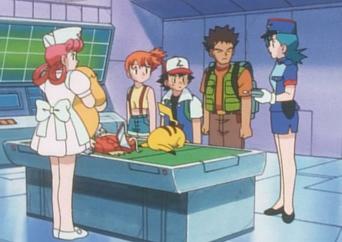 After making a deal with Meowth, a group of Squirtle is able to capture Ash, Misty, Brock and a wounded Pikachu, who needs medicine. The party comes across a lighthouse belonging to a researcher who is awaiting the coming of a one-of-a-kind Pokémon, never before seen by humans. 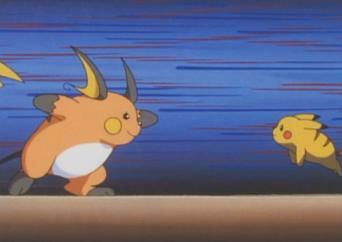 For Pikachu to compete against Raichu, a Pokémon with tremendous electric power, it must demonstrate a stronger will in battle than ever before. 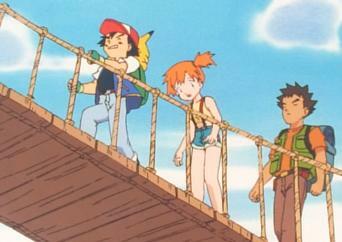 Jessie and James have a plan to lure Pokémon trainers, including Ash and his friends, onto a fancy cruise ship and steal their Pokémon. Shipwrecked with Team Rocket, our heroes are forced to team up with their long-standing enemies to survive a submerged and sticky situation. 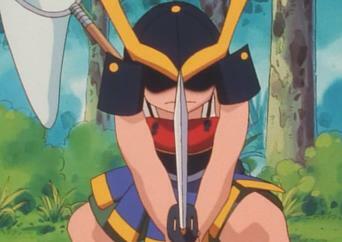 After surviving the sinking ship, the teams are dragged into another perilous situation when they are attacked by the atrocious Pokémon Gyarados. The teams meet a wealthy lady who wants to turn an island's coral reef area into a resort, but a school of Tentacool interferes with the construction. Ash accidentally destroys an old man’s ship when he and his friends visit the resort town of Porta Vista, a beachside tourist destination. 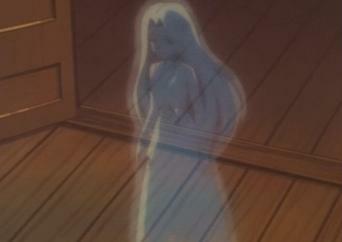 The teams find a town where legend has it that the ghost of a girl who lived long ago steals the spirit of a young man during a local summer festival. 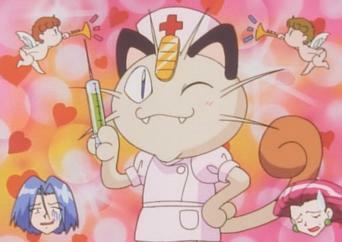 Smitten with a pink Butterfree, Ash's Butterfree battles Team Rocket with the strength and courage of a Pokémon in love. 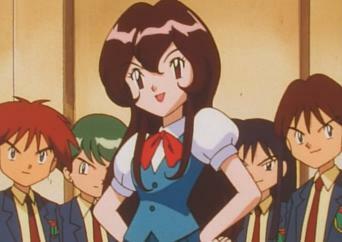 The party arrives in Saffron City, where gym leader Sabrina commands Pokémon that use psychic powers. 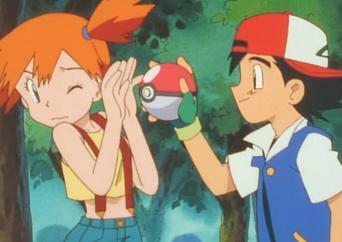 If Ash defeats her, he'll earn his fourth badge. 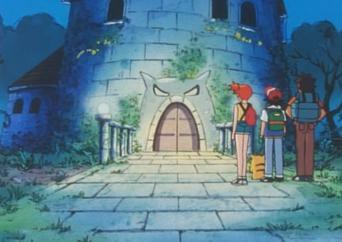 In search of a Ghost-type Pokémon, Ash heads for Pokémon Tower in Lavender Town, where they are said to dwell. Our friends journey to battle the powerful psychic gym leader Sabrina in Saffron City, where Ash has only one goal in mind: to win the Marsh Badge. Our heroes encounter a wild Pokémon that, if offended, can go into mad fits of rage. 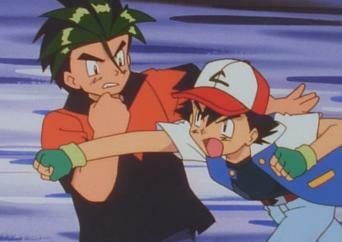 Underestimating its unpredictability, Ash tries to catch it. 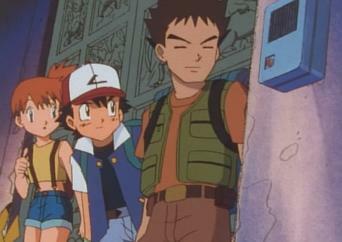 After criticizing a perfume in a department store, Ash discovers the scent is produced in the local gym, where he's denied entry for his remarks. Our heroes come to a town where a large number of children have gone missing and sick Pokémon are not responding to treatment at the Pokémon Center. 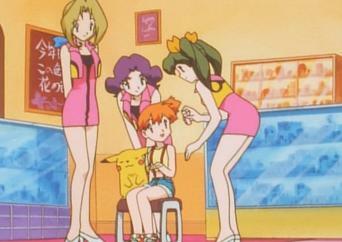 At Brock's persistent request, our heroes stop by Scissor Street, a place famous to Pokémon breeders for its Pokémon beauty salons. 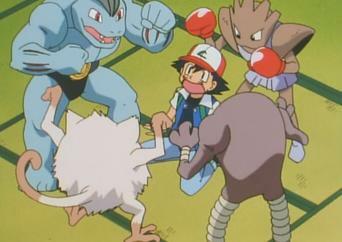 Brock and Ash agree to help the daughter of a trainer who has abandoned his family in order to train day and night for victory at the P1 Grand Prix. During a power outage in Gringey City, Ash and friends discover the Pokémon Magnemite and a host of Grimer, a kind of Pokémon created from sludge. 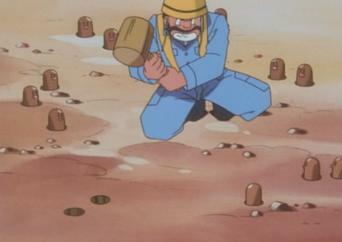 A foreman overseeing the construction of a dam is recruiting Pokémon trainers because the burrowing Pokémon Diglett are interfering with his project. 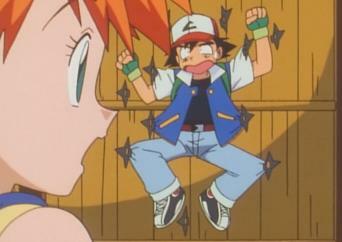 At the Fuchsia Gym, Ash's mission to win his next badge is held up by a complex system of traps, and then a concealed female trainer challenges him. 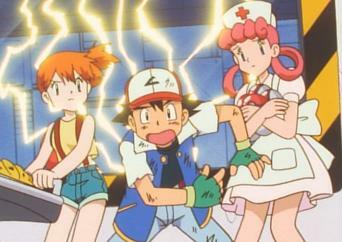 Ash takes the place of an injured rancher's daughter in an annual race to measure the growth of everyone's Pokémon. 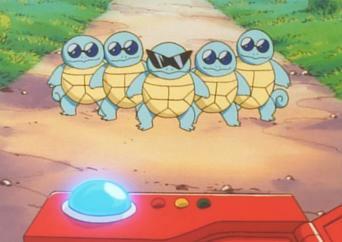 Our heroes accompany Officer Jenny into the forest, intent on pursuing the Pokémon poachers in the area. 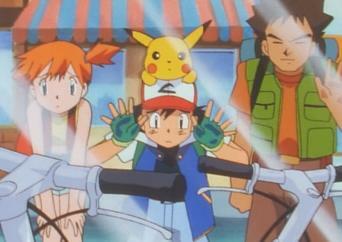 Ash and the others happen upon a town that can only be reached by a long bike bridge, but they don't have enough money to rent bikes for the crossing. 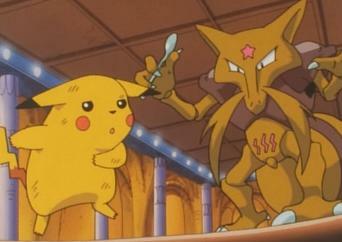 Ash and his friends meet the warden of the Safari Zone. While being briefed on the safari rules at his office, they spot an intriguing photograph. Our heroes take shelter in a cabin that turns out to be the Copycat House of a trainer who has a Pikachu that is a Ditto, the Transform Pokémon. 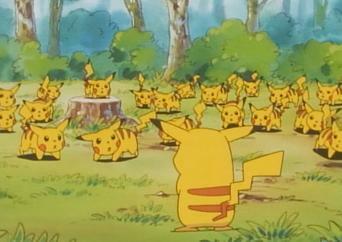 Ash and the others discover a group of wild Pikachu in a secluded area of the woods. 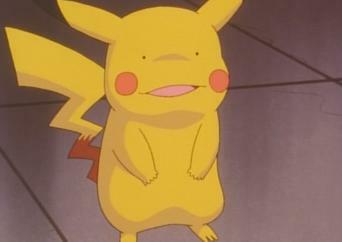 How will Pikachu feel seeing others of its kind in the wild? 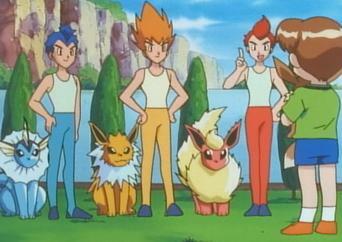 A lost Eevee leads the team to a huge home with a lavish party in full swing, attended by the trainers of Pokémon that evolve using Evolution stones. 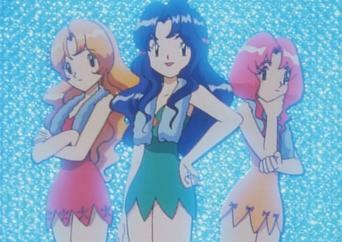 In return for a meal, Ash, Misty, and Brock agree to investigate a town's mysterious water shortage. Our heroes travel to Dark City, where the gym leaders try to battle any traveling Pokémon trainers they find within the town limits. 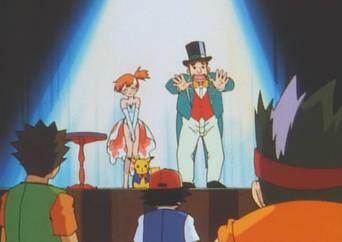 After discovering there's a traveling carnival nearby, Ash, Misty and Brock join in the fun of the fair and stumble across a rather dull magic show. 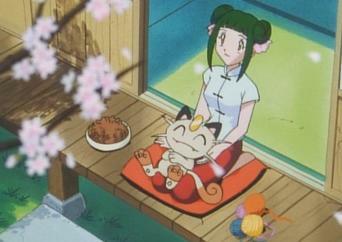 After falling ill and being healed by a girl named Cassandra, Meowth vows to pay her back. 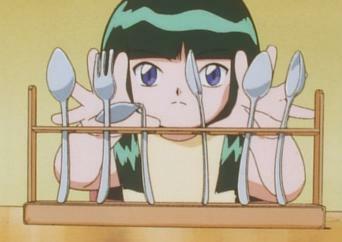 But will the rest of Team Rocket be so eager to help her? After finding a Jigglypuff that has trouble with singing, Misty puts aside her idea of catching it and promises to find a solution to its problem. Smile Precure! the Movie: Panic in Fairy Tale Land!